Tag Archives for " Linsdsay McGregor "
Turns out that building a high performing business culture is all about motivation. The problem is that most companies use the wrong motivation. Recent research suggests that people are most motivated by workplaces that give them a sense of play, purpose or potential – rather than simply a paycheck. 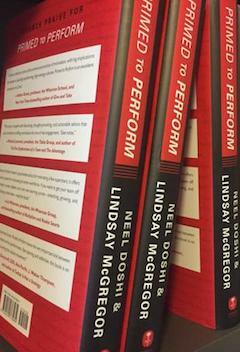 My guest for this week’s episode of the Duct Tape Marketing podcast is Lindsay McGregor, co-author of Primed to Perform – How to Build the Highest Performing Cultures Through the Science of Total Motivation. We talk about motivating employees, how to get the best work from your team and maybe even a little bit about what it’s like writing a book with your spouse. How did you research business motivation? How do you implement better motivators in your business? What scouting has in common with employee motivation. Why culture matters more for business productivity than having the right people. How you can evaluate your employees’ motivation. Interested in learning about what motivates your employees? Visit PrimedToPerform.com to find a test for your employees.